"Tammy and Lyndsey do a wonderful job complementing our standards and benchmarks with their presentations and hands on activities. The students love when they come as they are age appropriate and are real world!! They are helping us make a difference in the world with their programs! " 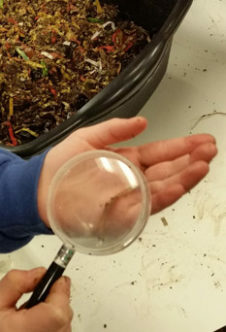 The Waste Trac Education Team is partnering with many local organizations to provide several composting workshops this spring and a sustainability themed backyard tour this summer. 854 vehicles participated in the event on April 13th. ~60 volunteers filled 123 pallets with unwanted e-waste and unloaded a semi-trailer’s worth of household toxic materials! This event was subsidized by the BHC SWMC for items from county residents’ homes and garages. **Please note: the next drop-off event will be held on Saturday, September 21st in Cedar Falls.